DeepStream Ministries - Love All... Worship One. DeepStream Ministries is fully funded through monthly supporters and faith based donations. To help, click the Donate button to right. If you wish to become a monthly sponsor, help with general costs for 2018, or give to the Schmidt family, you can Email us for more information. All checks should be made payable to DeepStream Ministries. Please let us know specifically what you are donating towards. DeepStream Ministries is a 501(c)(3) organization registered with the IRS. All donations are fully tax deductible. 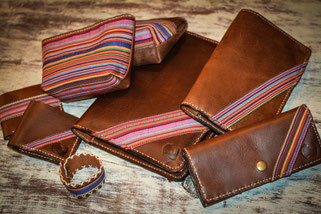 CrashLeather is a supporting partner and creator of quality leather products with a purpose. 50% of all profit is sent to DeepStream Ministries to help with our educational initiatives..